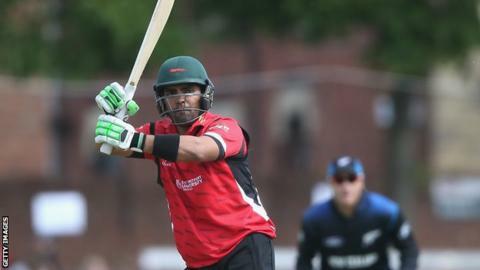 Leicestershire batsman Umar Akmal and all-rounder Kevin O'Brien will return to the club in the 2016 season. Pakistan's Akmal, 25, the second Foxes overseas T20 Blast player, scored 133 T20 runs in four matches this season. Ireland international O'Brien, 31, will be available for both the T20 Blast and the One-Day Cup. "We saw the positive influence Umar and Kevin had on the club this year," said Leicestershire chief executive Wasim Khan. "They are both match-winners." He continued: "They showed their ability by both having an immediate impact with Kevin batting beautifully in his first game at Lancashire and Umar playing our best innings of the tournament at Nottinghamshire on his debut." "I know our members and supporters enjoyed watching them play and we are excited to welcome both players back to Grace Road."